A sixty year old memorial to Governor Arthur Phillip was installed in 2014 at the Museum of Sydney on the site of Australia’s first Government House. The public unveiling of the 1954 memorial formed the centrepiece of the NSW State Government’s program of events commemorating the bicentenary of Governor Arthur Phillip’s death and his long legacy of achievements. The public unveiling ceremony occurred on the morning of Thursday 28 August 2014, in time for the bicentenary of Phillip's death on 31 August 1814. 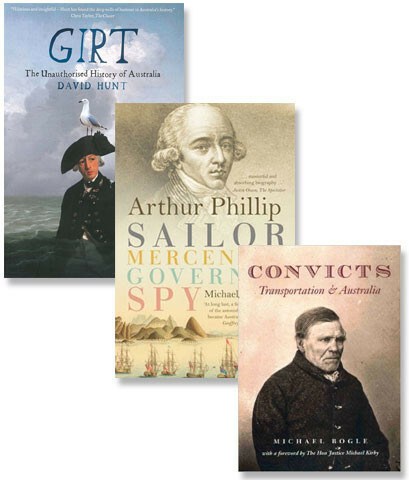 CAPTAIN ARTHUR PHILLIP. R. N.
IN COMMAND OF THE “FIRST FLEET”. The Memorial was originally sited in the garden in the front of the Maritime Services Building (MSB), which today houses the Museum of Contemporary Art (MCA), having been erected by the MSB in conjunction with the Royal Australian Historical Society. The millionaire refrigerator manufacturer and philanthropist Sir Edward Hallstrom generously donated the funds for the bust that was sculptured by his daughter and artist Mrs Jean Hill. The Arthur Phillip Memorial as it once stood outside the Maritime Services Building at West Circular Quay. Journal of the Royal Australian Historical Society, Volume 40, part 1, 1954. She worked on it and I saw it 'grow' very quickly. I was only 4 but every day I saw that she had worked on it… I added my piece of clay to the underside of the shoulder. Jean Hill sculpting the Phillip bust, 1952. Courtesy Margaret Hill. I remember… mum saying there would be "a plaster throwing" to cover the bust in plaster. I am trying to recall the event as I was only 4 and a half, but I do remember family and neighbours participating with the "throwing" in the studio for the event – me included. After this event, mum had to wait until the plaster set and then I recall mum saying that she had to break it to make two moulds. I gather it was a success and then the bust was regaled to a shelf in the studio and the two moulds were sent to a foundry. The following months the plaster mould was at the foundry where the bust took shape. There were a series of processes before the two bronze pieces were moulded together. Jean Hill’s bust of Phillip remained a landmark at West Circular Quay for over twenty years before redevelopments associated with Australia’s bicentenary saw it relocated to the north side of the MSB in 1980. In 2010 it was disassembled and stored for safe keeping and restoration by the Sydney Harbour Foreshore Authority (SHFA) during the redevelopment of the MCA. Conscious of the approaching 200th anniversary of Phillip’s death in August 2014, SHFA facilitated a workshop of experts and stakeholders earlier this year to determine the best place for the reinstallation of the bust. Stakeholders included relevant institutions, leading Phillip historians, representatives from the Royal Australian Historical Society, the Fellowship of First Fleeters and the Museum of Sydney (MOS). Eight potential locations were considered at the workshop for their ability to address the following principles of relocation: proximity to Sydney Cove, publicly accessible, high profile location, sympathetic and historical context, elegant and well-designed environment with the ability to add interpretative context. It was also agreed that the bust and the plinth were the priority elements for inclusion in any new location while the sandstone surround may or may not be included. From the workshop a number of recommendations were made. After deliberation, SHFA advised Sydney Living Museums that the Museum of Sydney forecourt, known as First Government House Place, had been selected as the preferred location. The reasons given for this decision were: its strong historical links to Phillip’s home and office as the first Governor of New South Wales and as the site of the first Government House, the high profile location with good public access, existing Phillip and Indigenous interpretation both inside and outside of the museum, strong public interest from museum-goers and schoolchildren and importantly MOS could successfully commemorate both the First Fleet voyage and Phillip’s time as Governor. Since this decision great progress was made to ensure the memorial will be ready for the bicentenary of Phillip’s death including meetings with Museum of Sydney architect Richard Johnson of Johnson Pilton Walker architects and the heritage stonemason who fitted and installed the bust and plinth. SHFA engaged conservators to complete detailed conservation work on the bust including cleaning, repainting the inscription and the application of a protective coating of microcrystalline wax to the bust and plaque. The sandstone plinth was also cleaned, the lime mortar patched and the plinth inscription re-blacked. Sydney Living Museums filmed the conservation process and conducted interviews to create a film about the reinstatement of the Memorial. Margaret Hill (right) inspecting the newly conserved bust with SHFA Heritage Project Officer Monique Galloway, 2014. Courtesy SHFA. The bust was fitted with a new base that will allow it to sit on our forecourt without compromising the integrity of the membrane that sits beneath the pavers and protects the first Government House foundations that lie beneath. This extensive work, a new commemorative plaque and the reinstallation of the bust were funded by an extremely generous gift of $25,000 from the Friends of The First Government House Site and the Kathleen Hooke Memorial Trust. The bust was transferred on long-term loan from SHFA to the Museum of Sydney. In August 2014, Governor Phillip took his place once more on the site of first Government House. He sits to the left of the museum entry doors, in close proximity to the foundations of his house that lie beneath the forecourt, and in conversation with the Edge of the Trees sculpture that flanks the right hand doors. This iconic sculpture talks to the moment of first contact between the Gadigal people and the Europeans coming though the surf onto Eora land. The bust of Phillip will create new opportunities for the museum to explore this critical moment in time for the participants and how it continues to reverberate through the years to today.